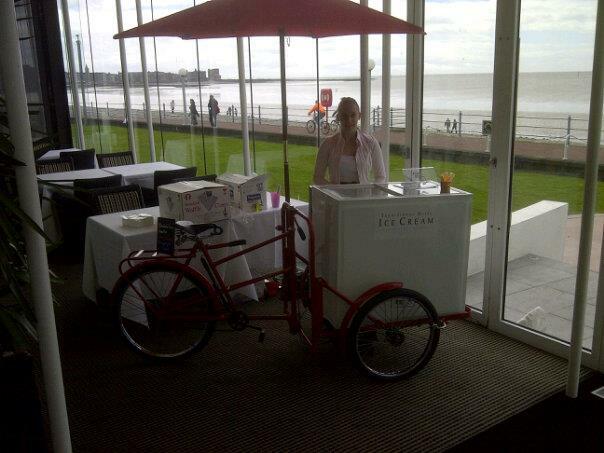 Our Traditional Pashley's Ice Cream Tricycle is available to hire for any event or special occasion. 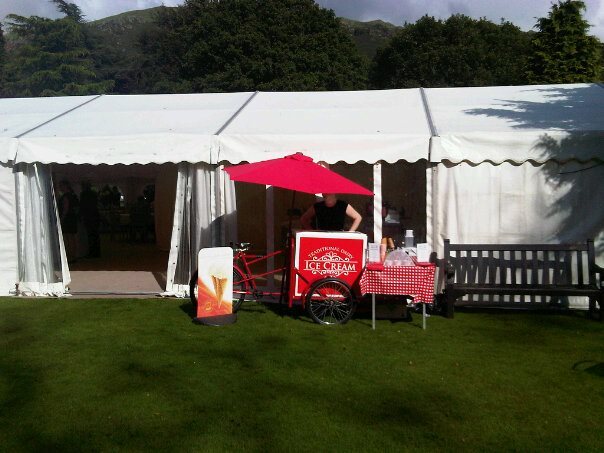 Prices start from £300 for up to 100 people and includes a member of staff to serve your choice of 3 different flavours of English Lakes Ice Cream, Waffle Cones, Cadburys Flakes and Sauces for 2 hours of unlimited servings (or until there's none left!). For more information please give us a call or request a price list.